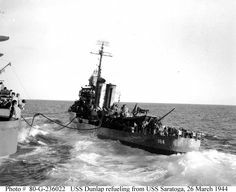 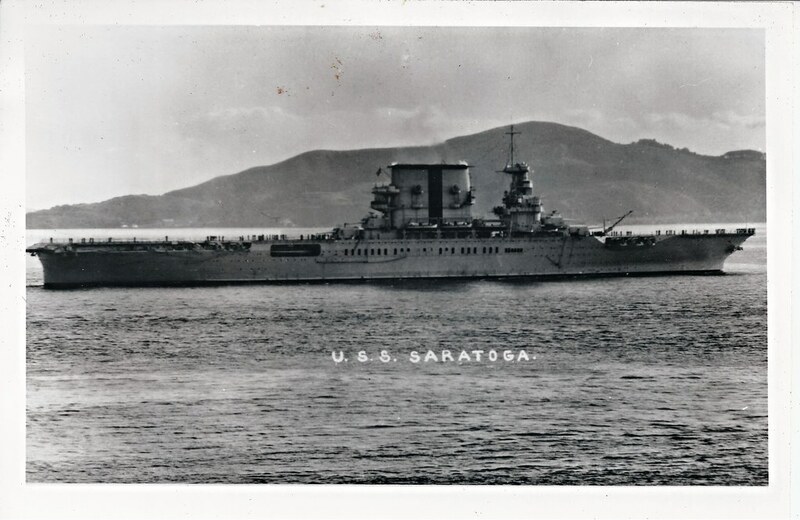 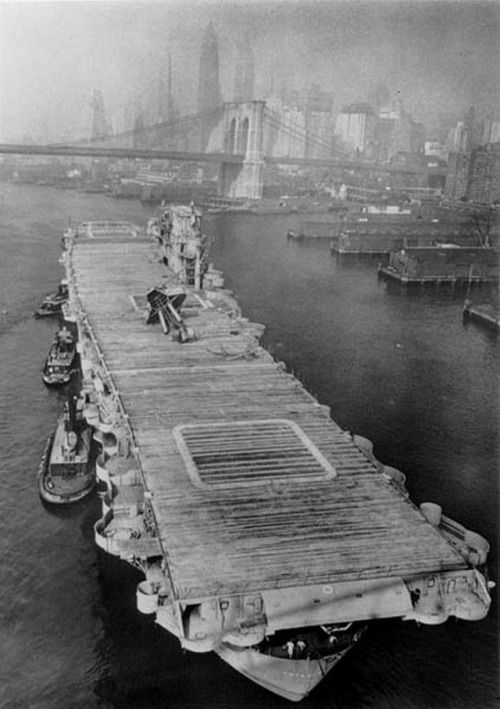 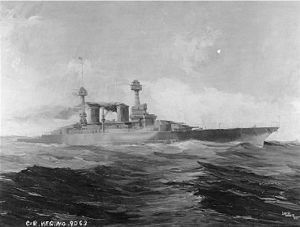 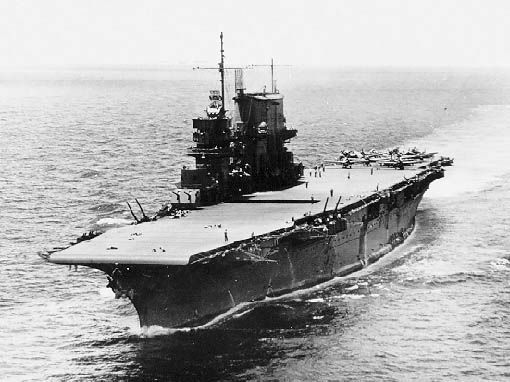 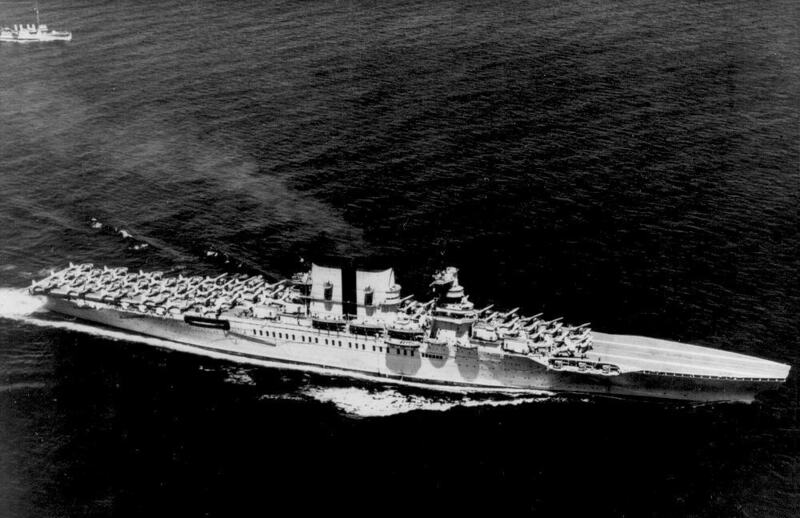 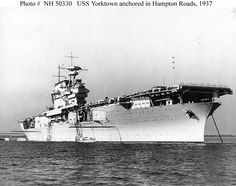 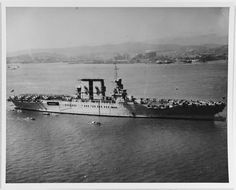 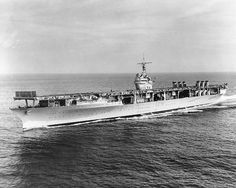 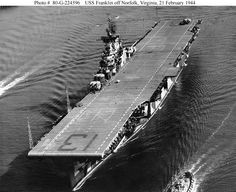 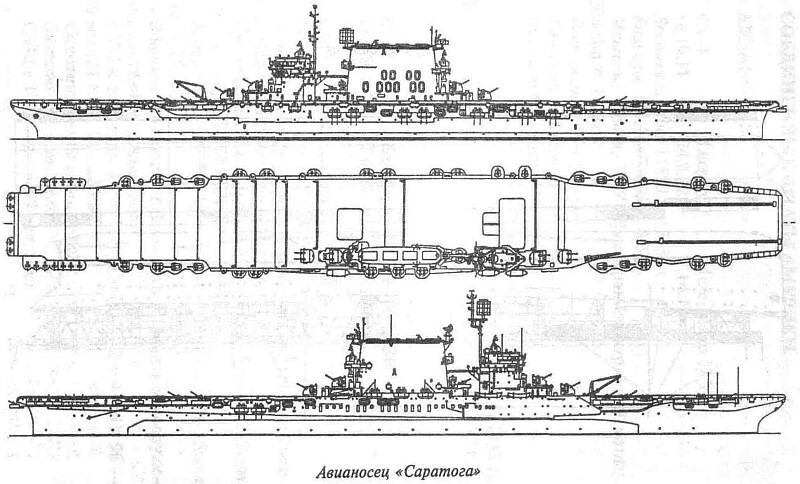 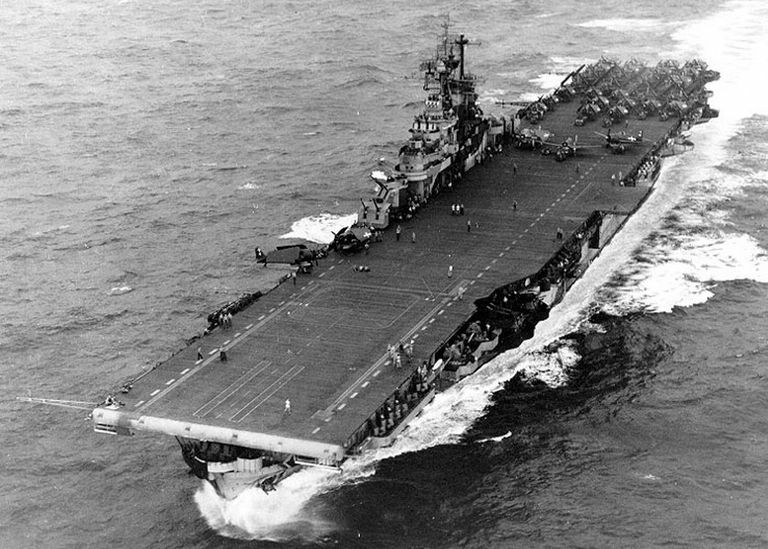 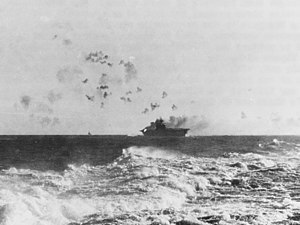 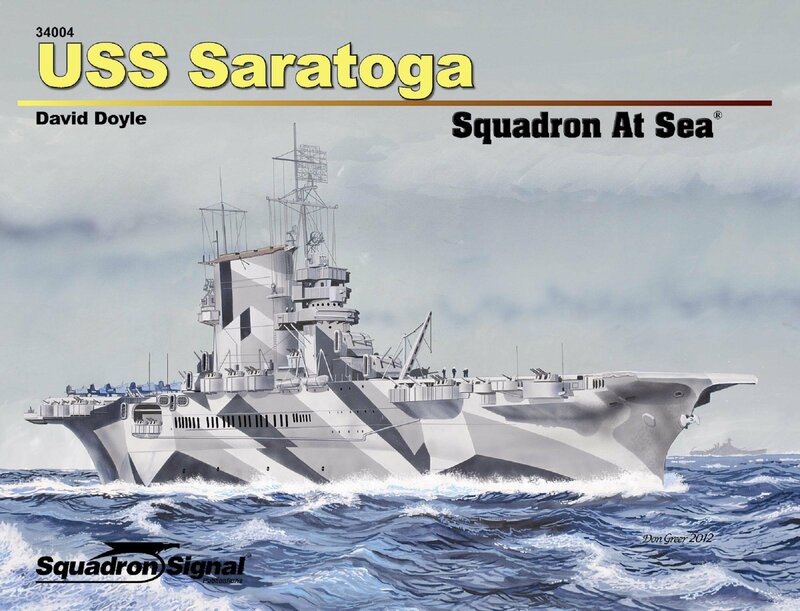 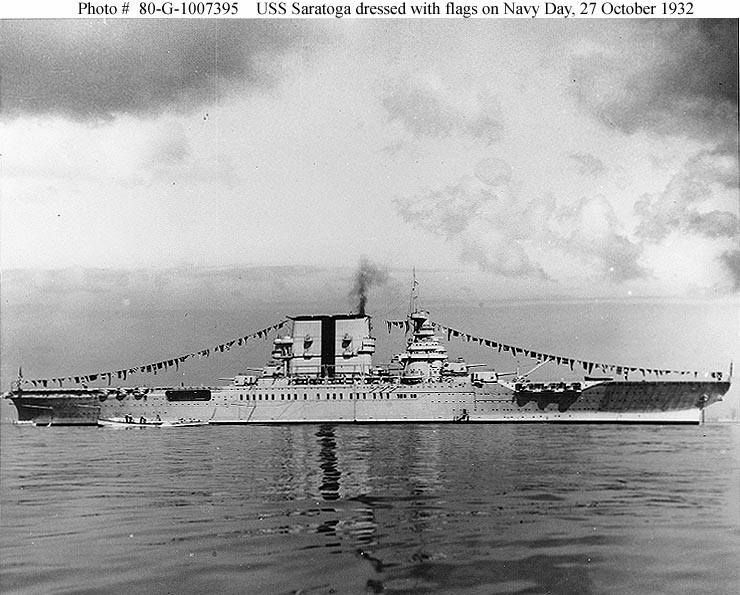 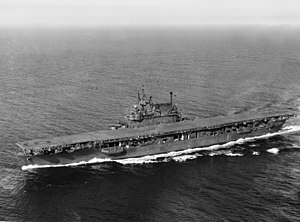 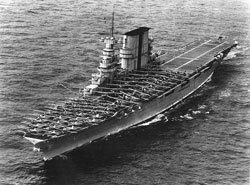 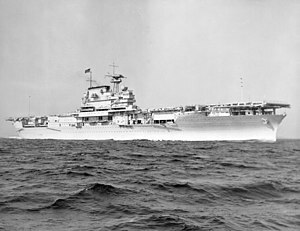 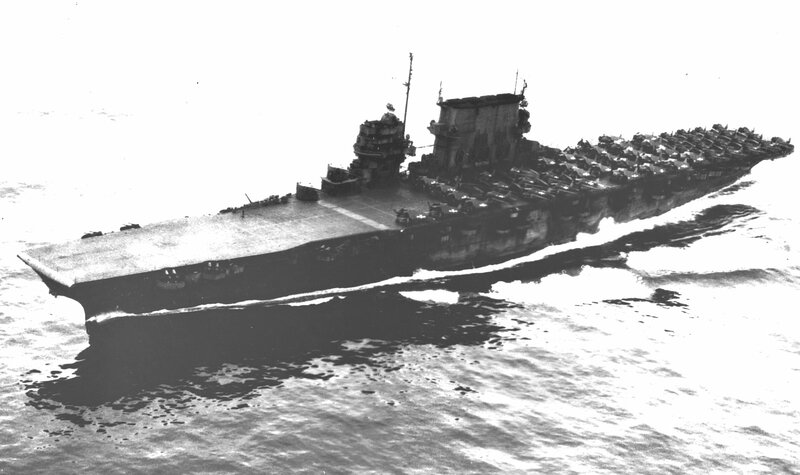 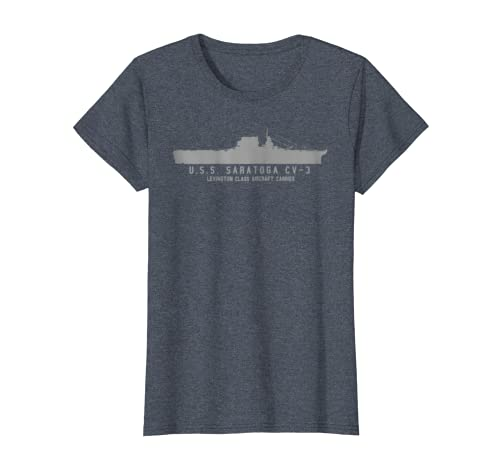 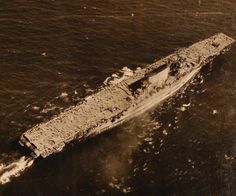 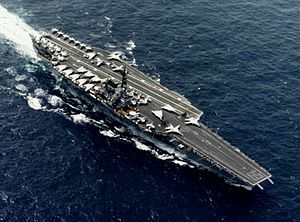 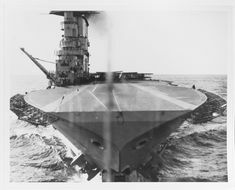 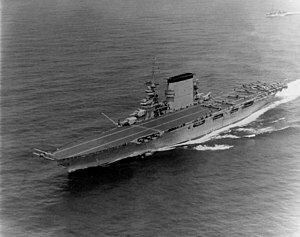 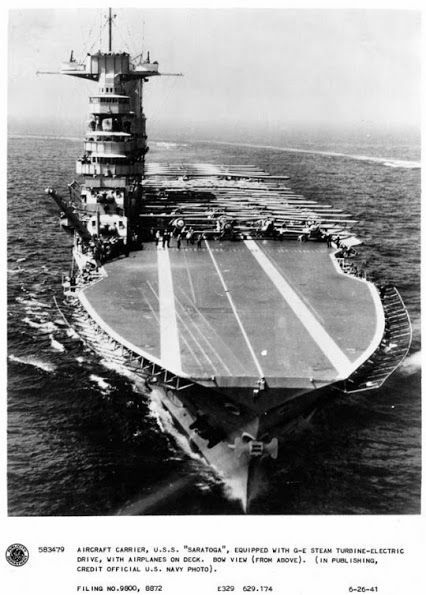 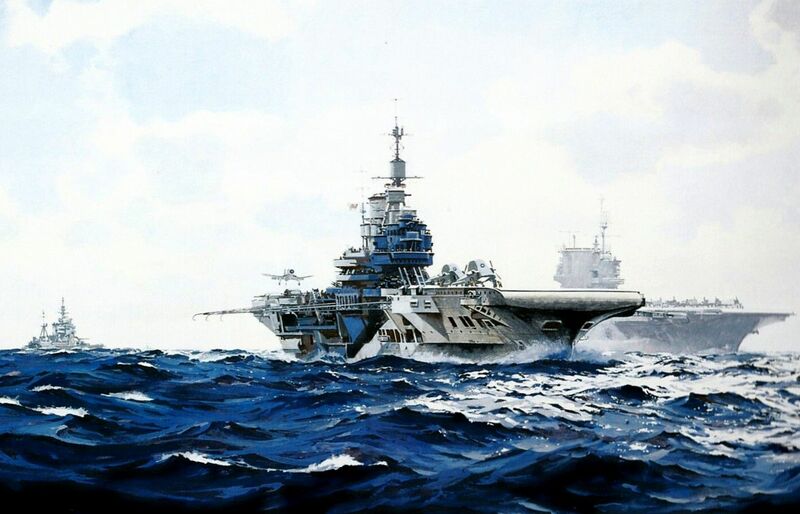 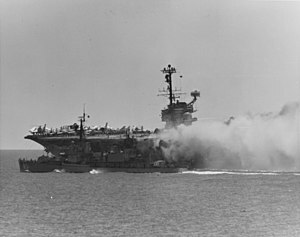 USS Saratoga (CV-3). 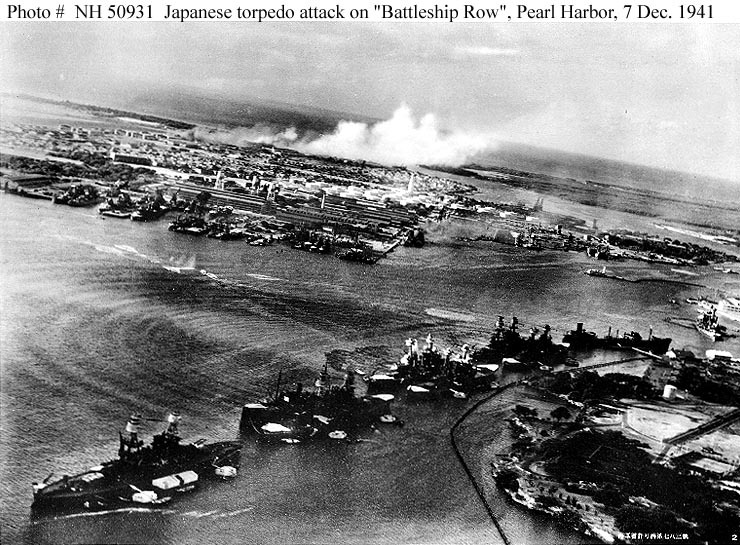 Photo clearly taken during WW2. 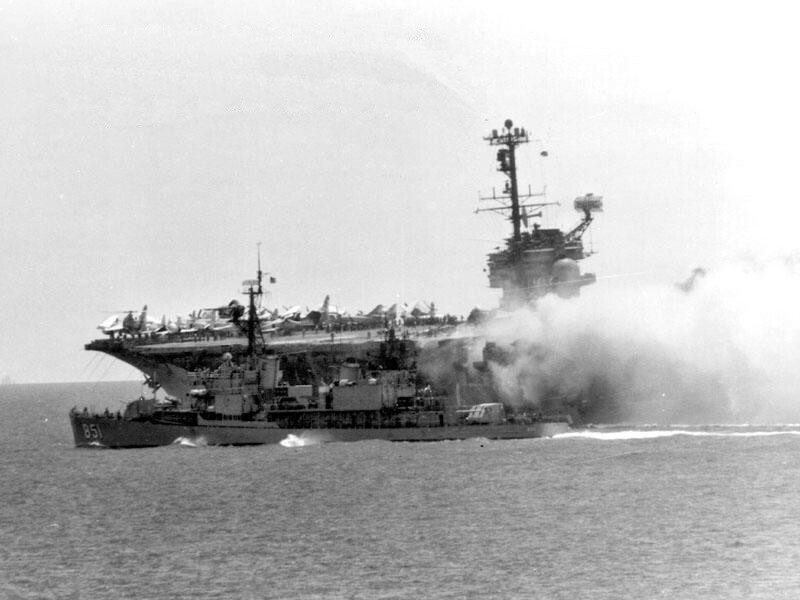 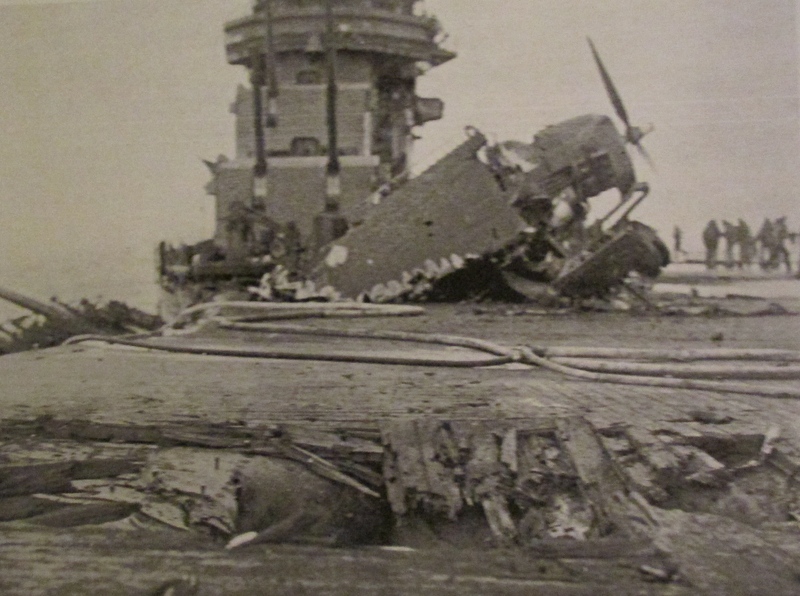 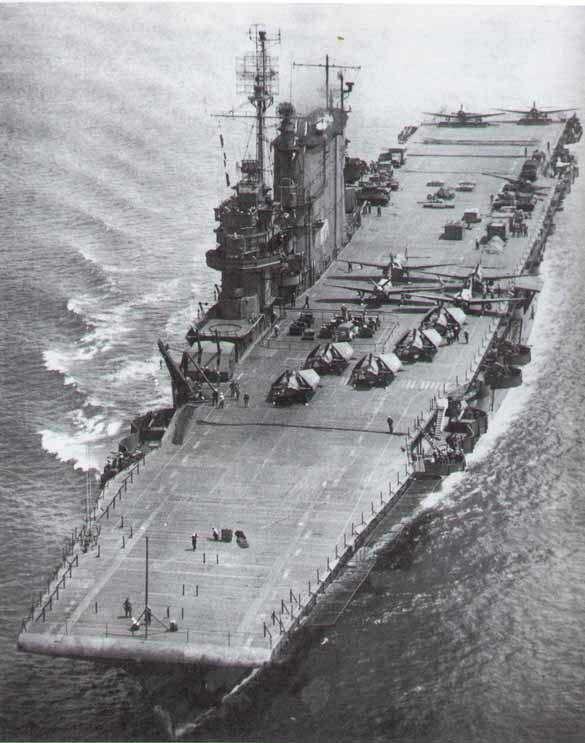 And clearly not in a combat situation- note the sailors lounging about on deck! 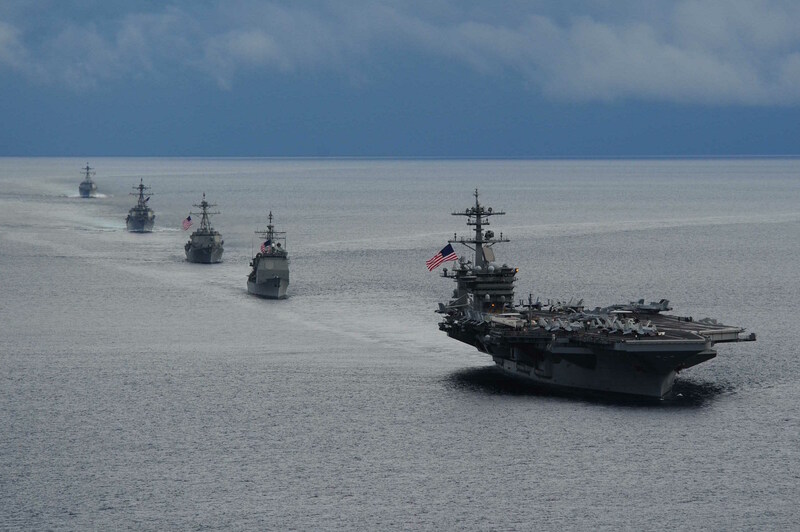 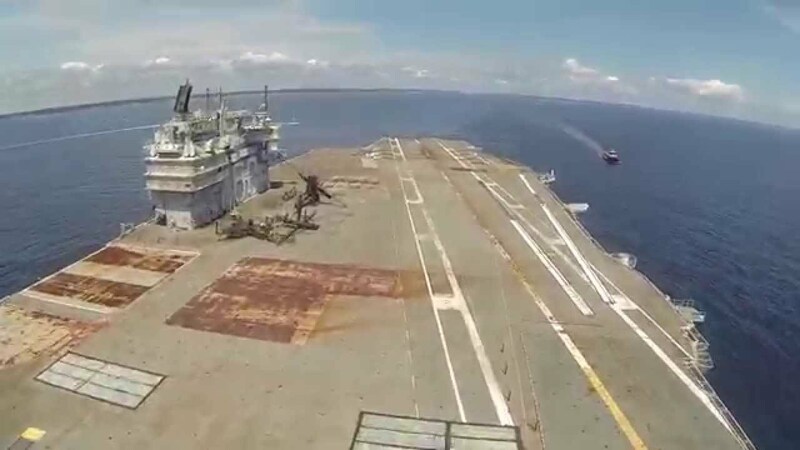 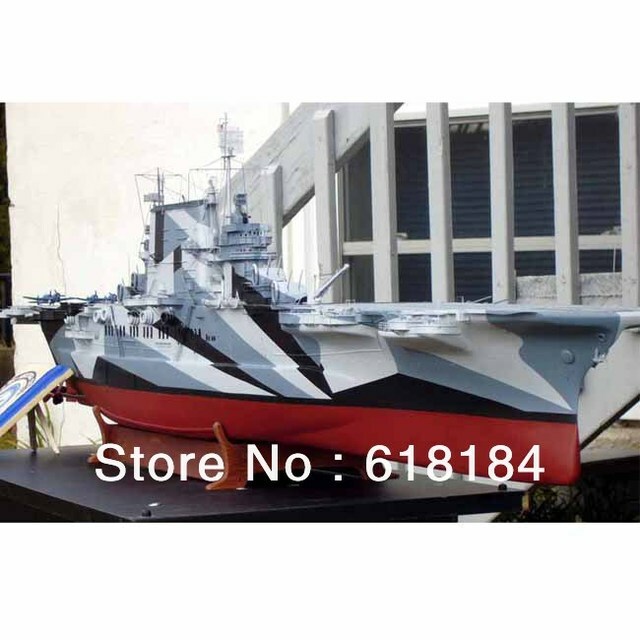 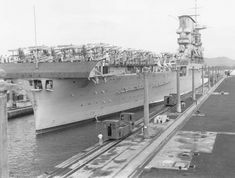 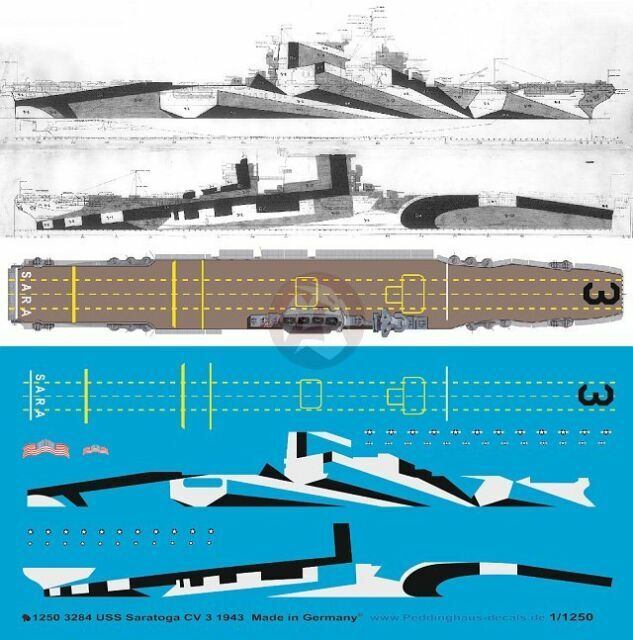 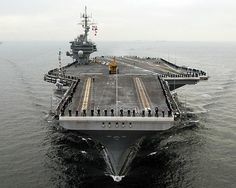 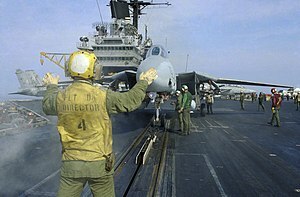 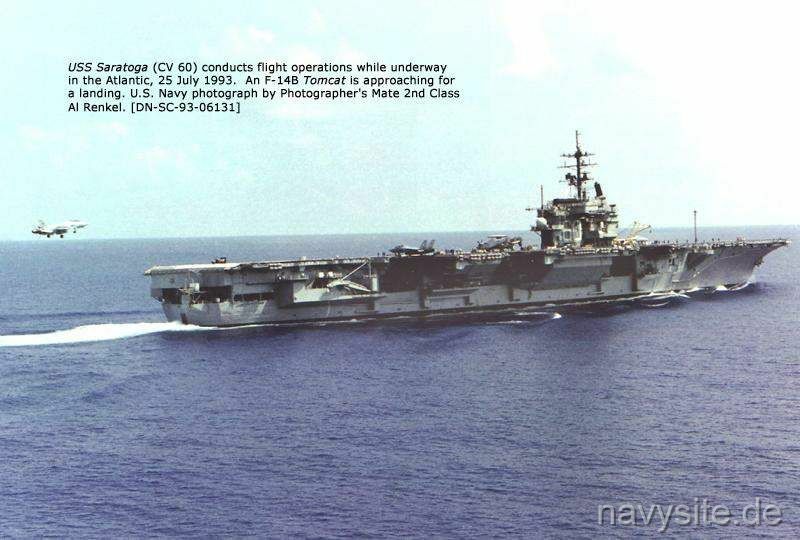 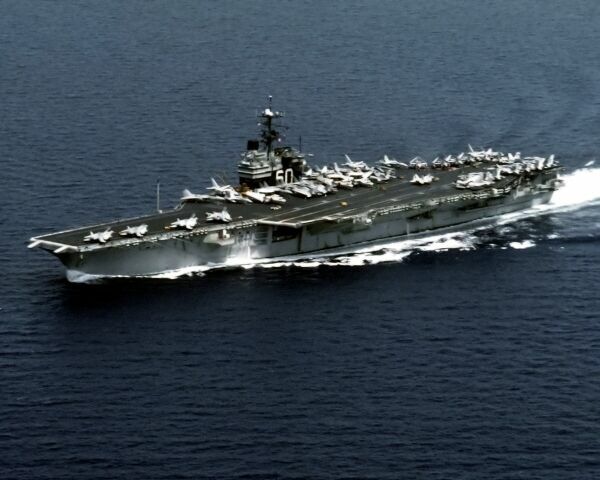 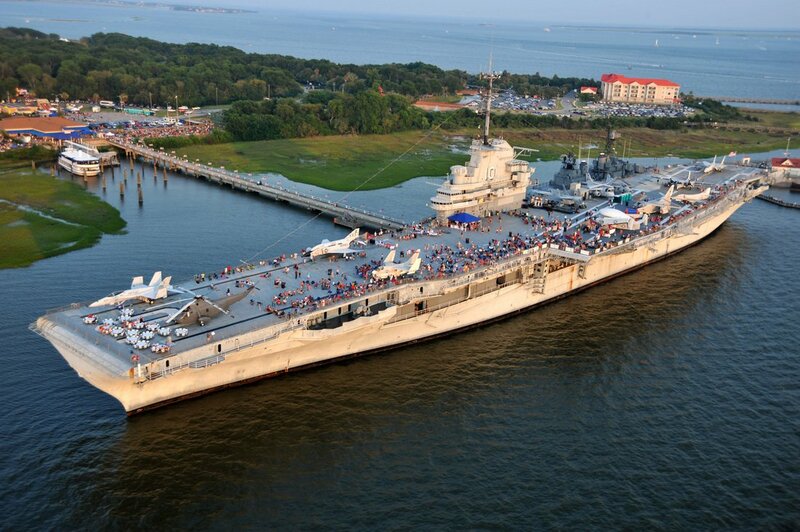 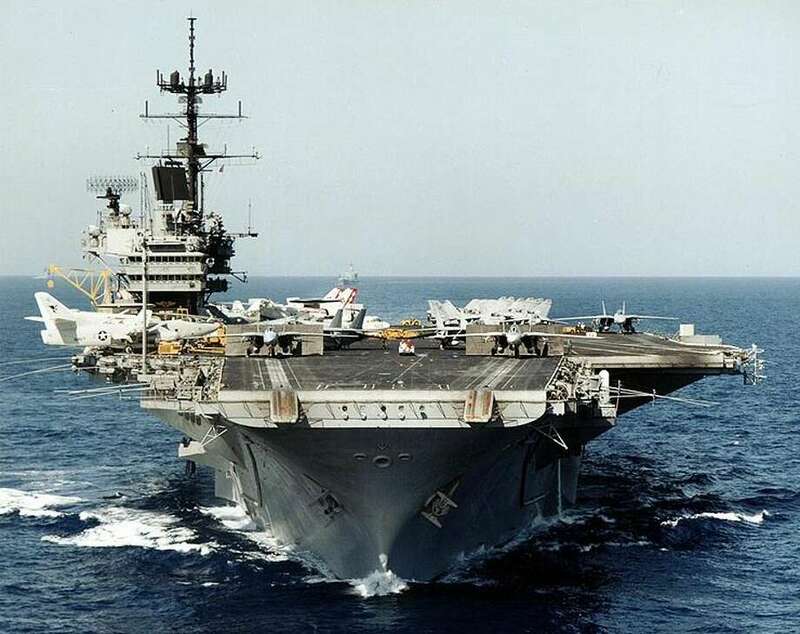 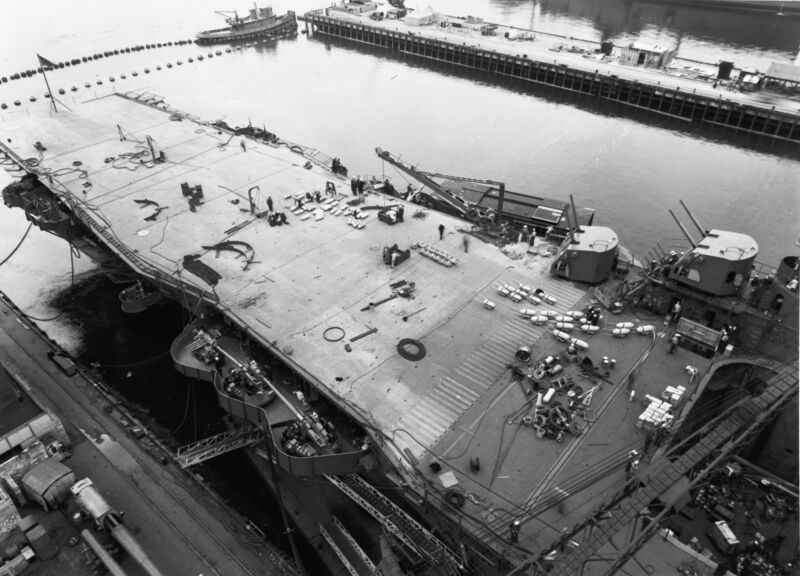 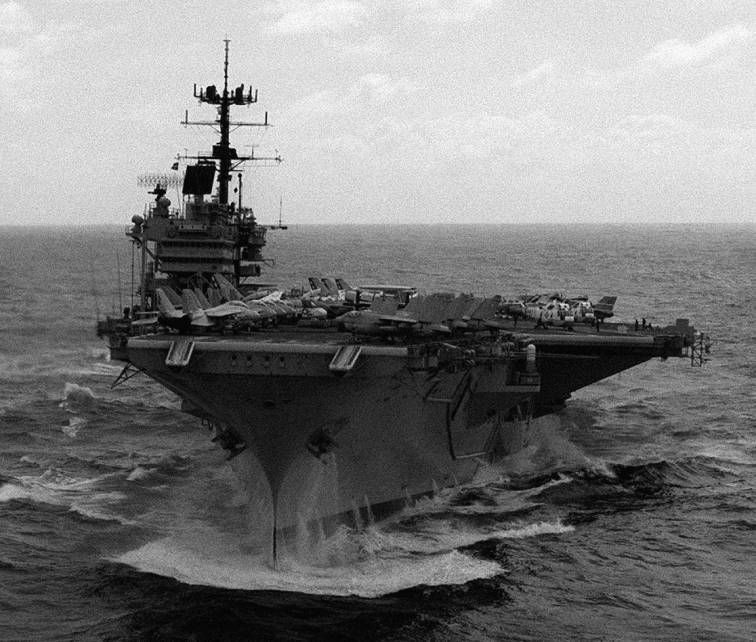 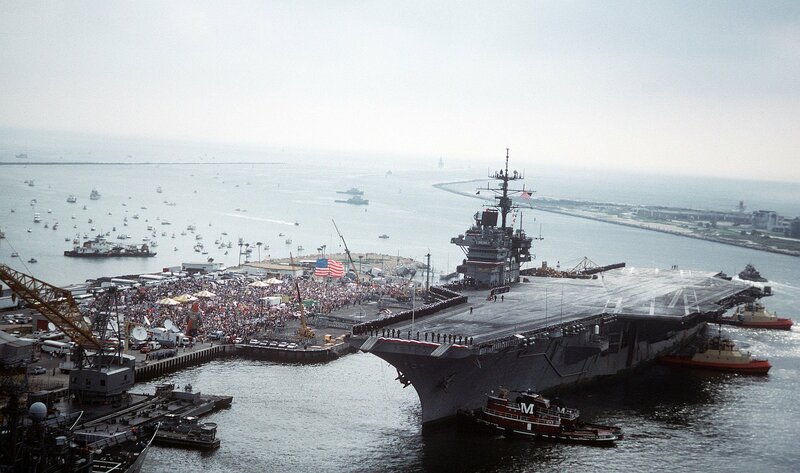 Enterprise: The Best Aircraft Carrier the Navy Ever Built? 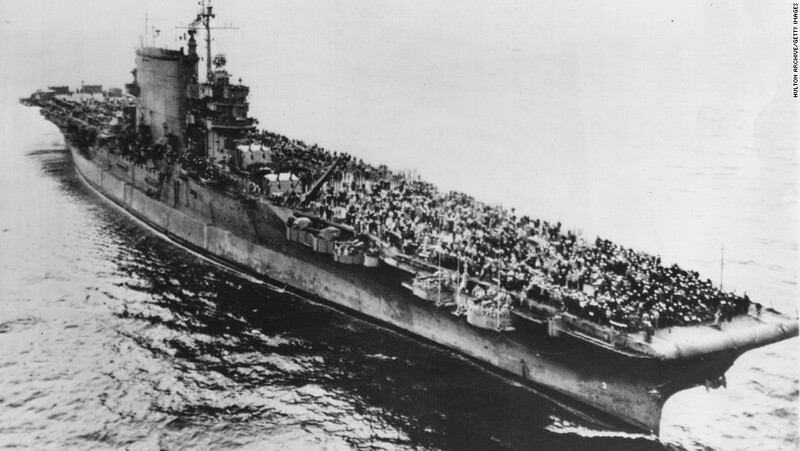 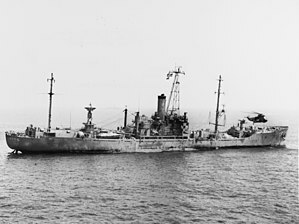 USS CIMARRON refuels USS ROBIN (HMS VICTORIOUS) on July 12, 1943. 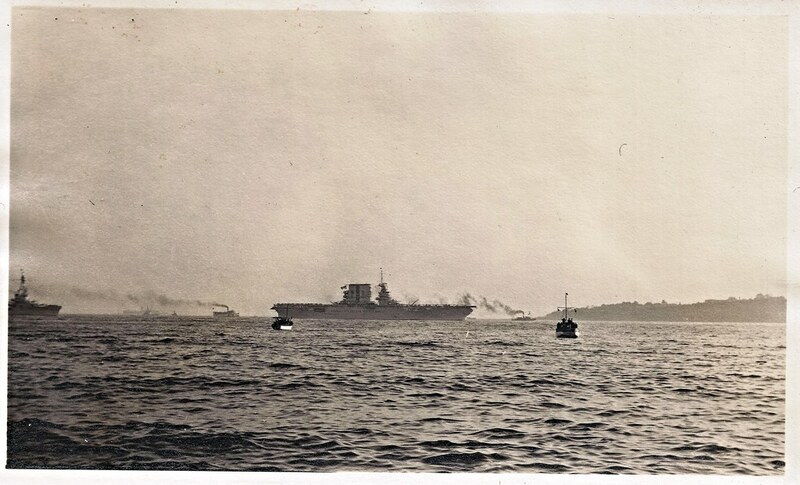 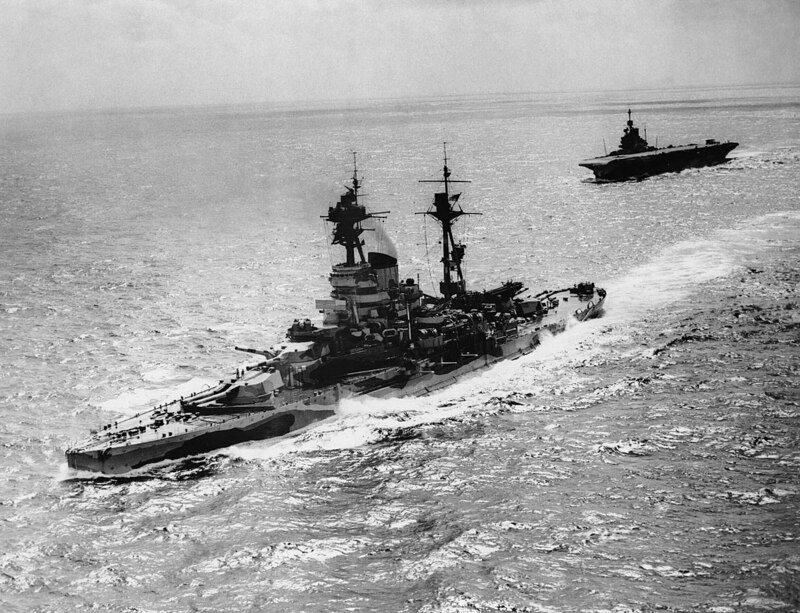 HMS ILLUSTRIOUS and USS SARATOGA in Trincomalee. 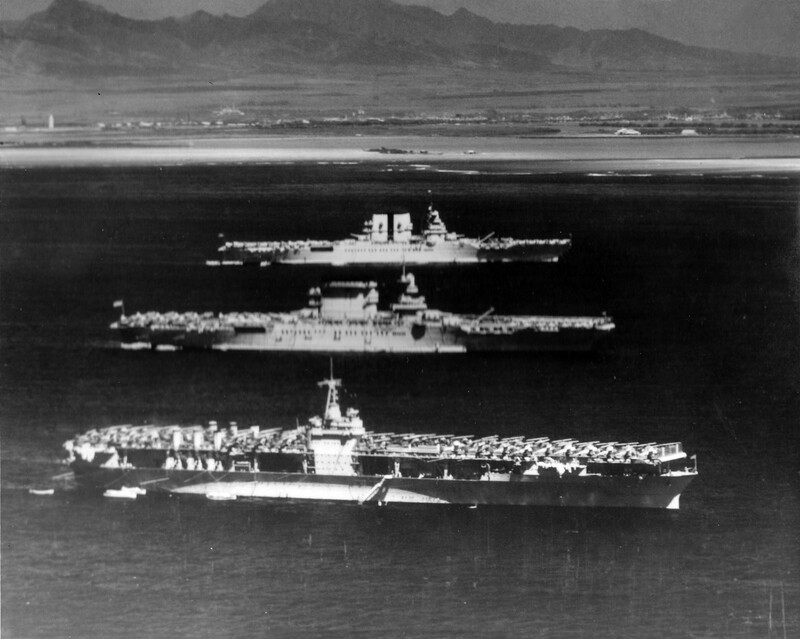 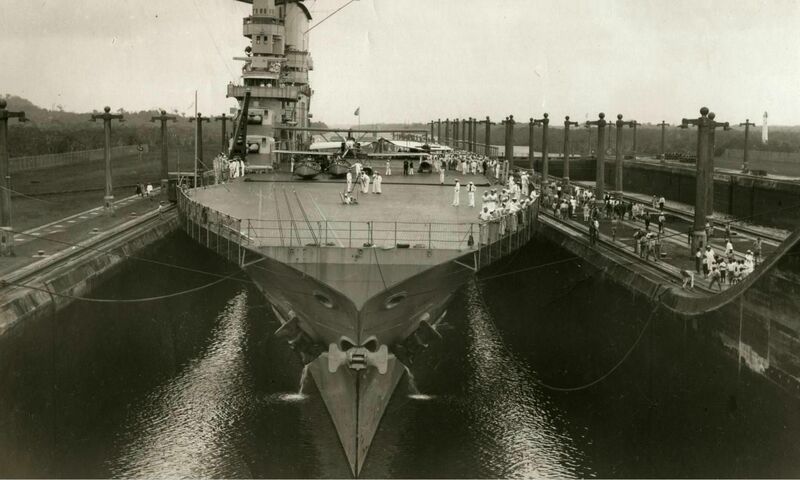 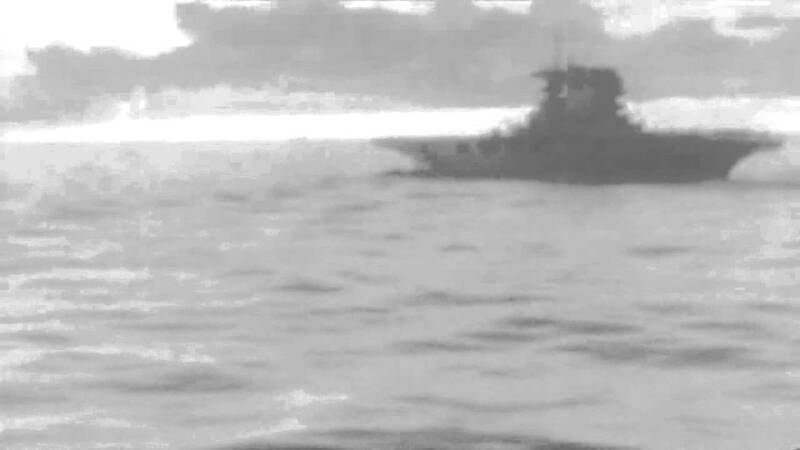 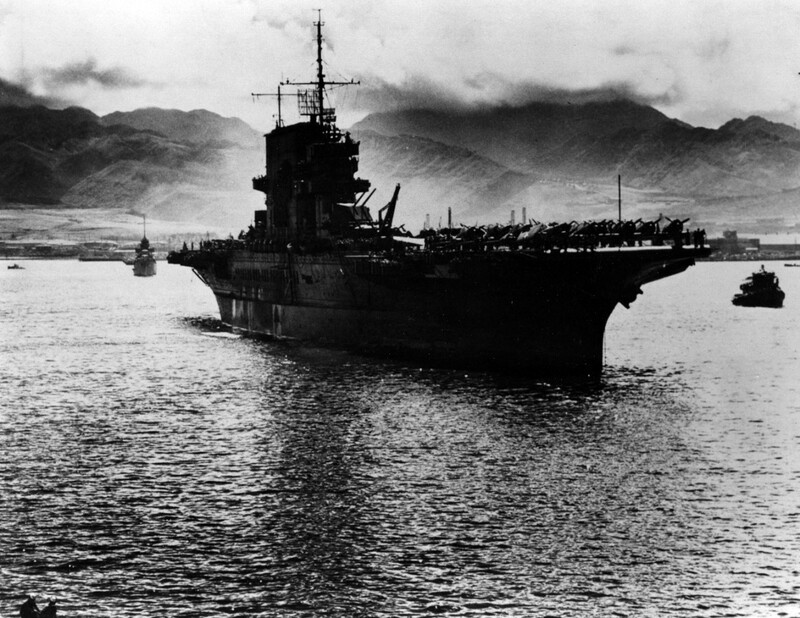 Enterprise (foreground) and Saratoga (rear) near Guadalcanal, December 1942. 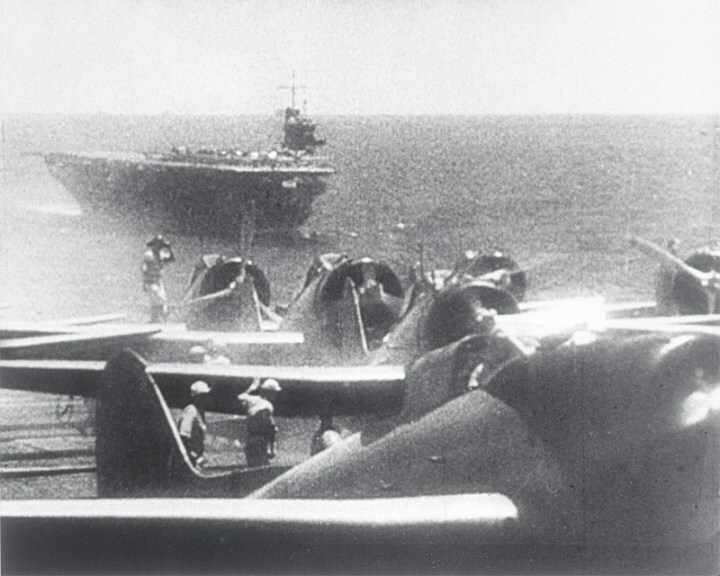 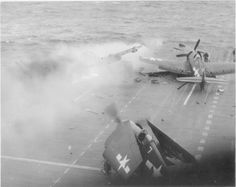 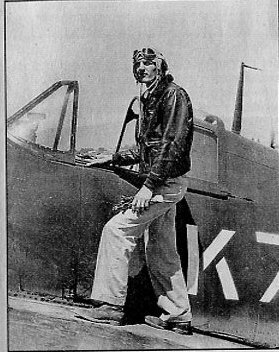 A Douglas SBD Dauntless dive bomber is visible between the two carriers. 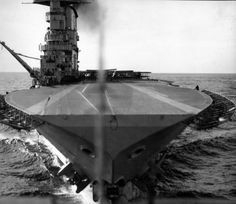 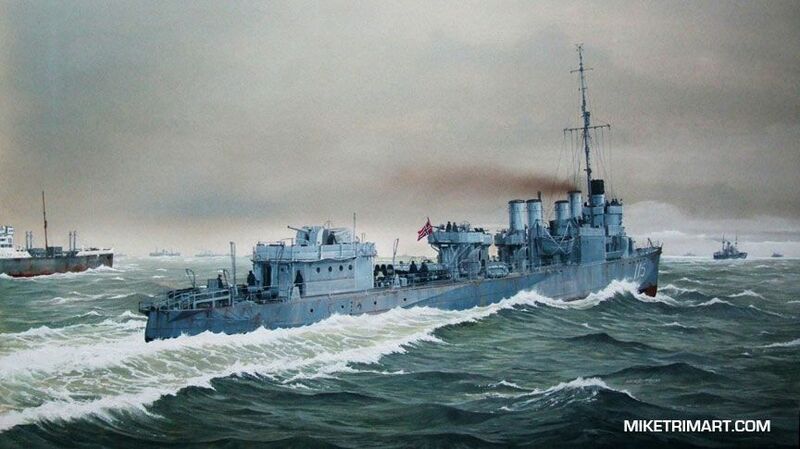 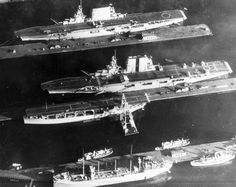 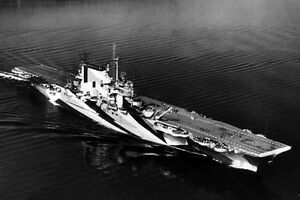 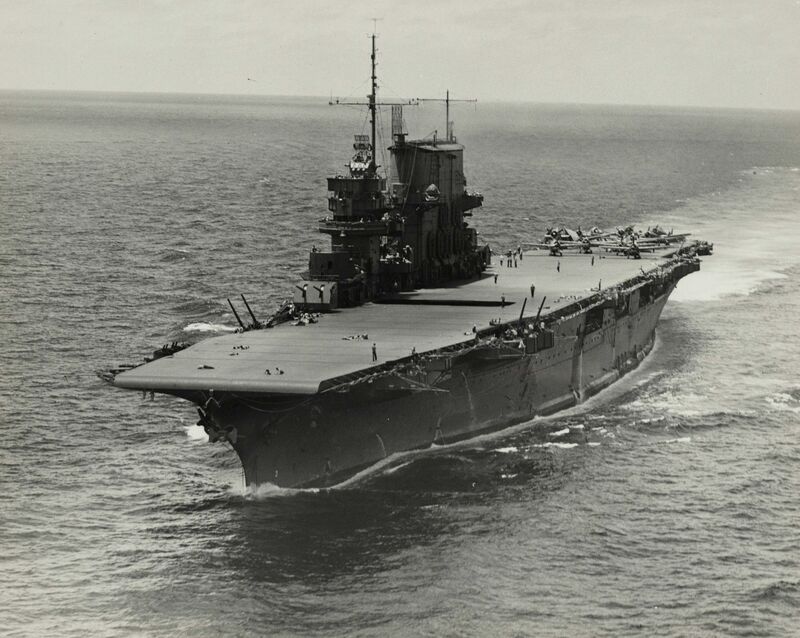 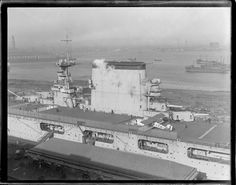 HMS Victorious, circa 1941. 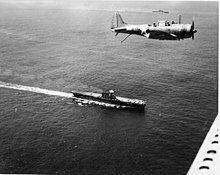 A Fairey Albacore torpedo bomber is making its final approach (NH 73690). 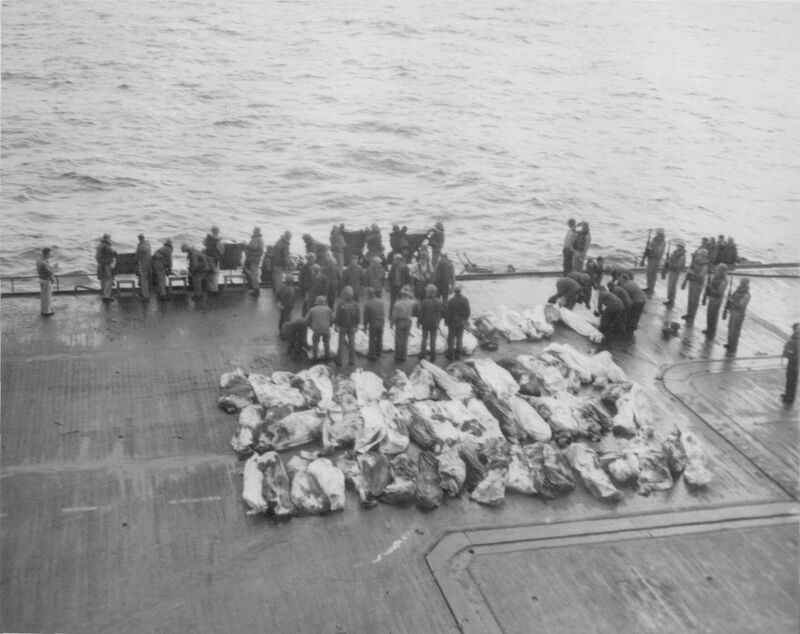 The remains of US sailors killed during a kamikaze attack on aircraft carrier USS Saratoga (CV-3) are awaiting their burial at sea. 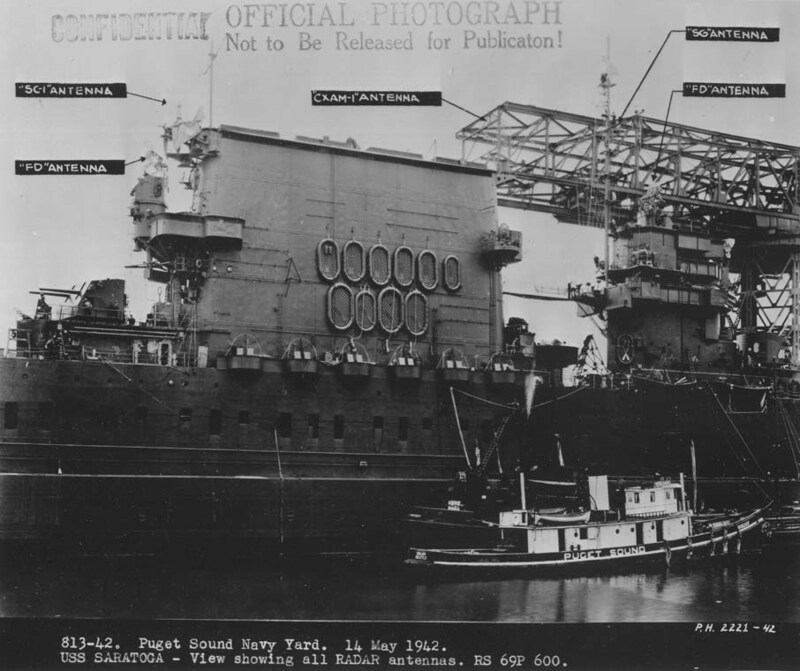 Forklift on the USS Saratoga. 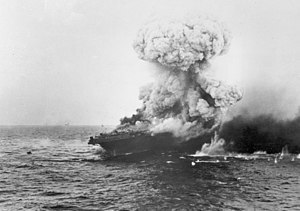 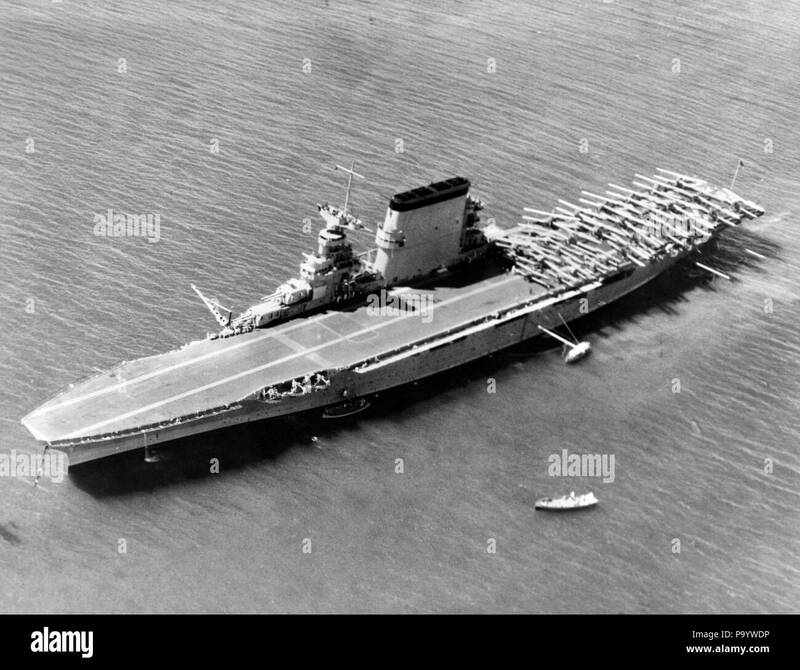 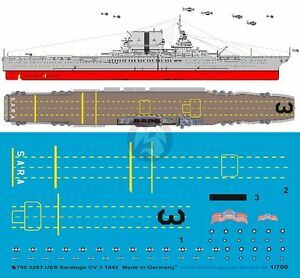 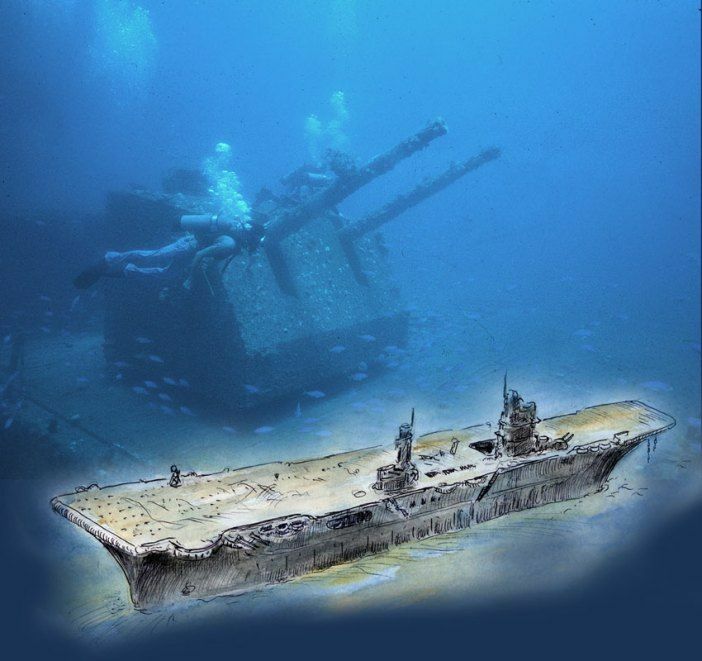 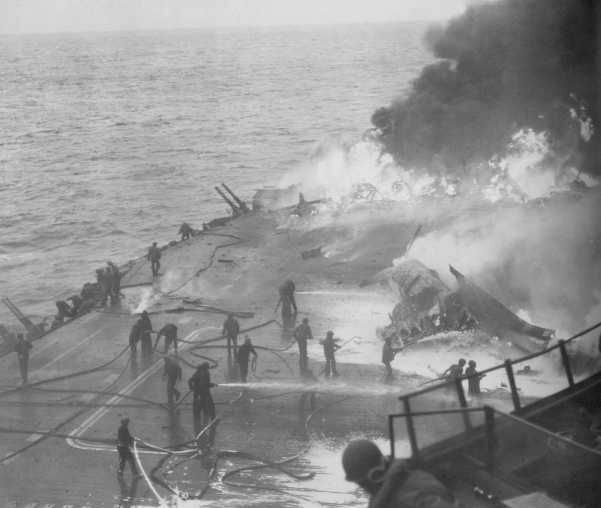 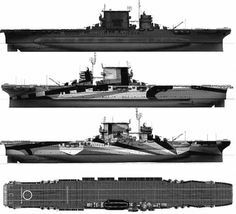 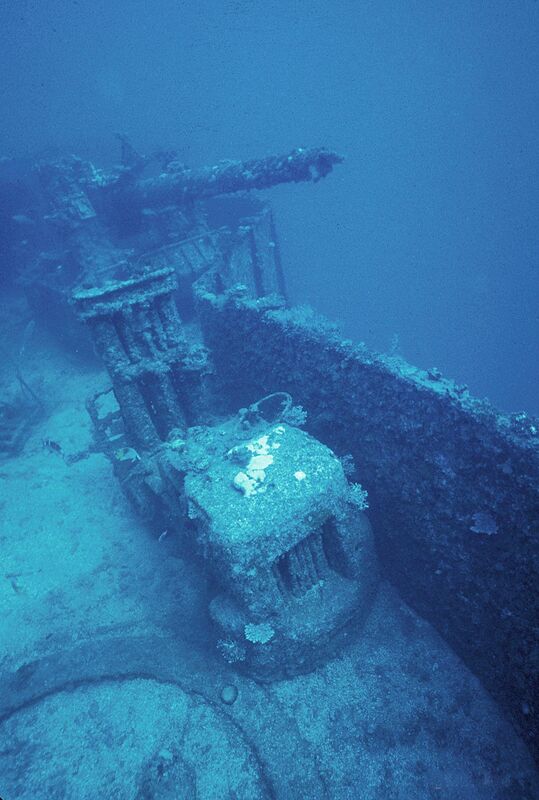 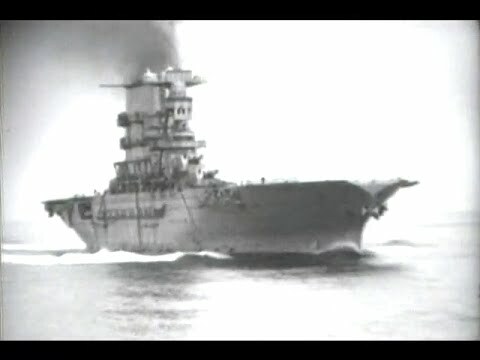 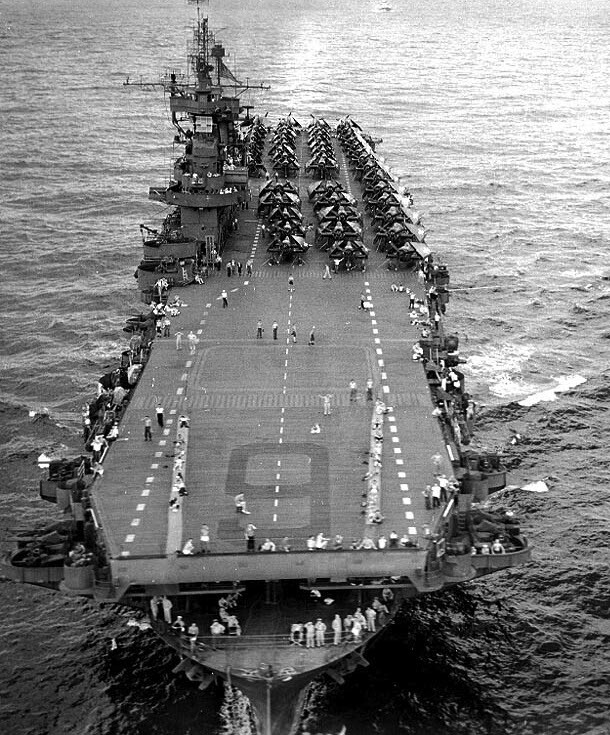 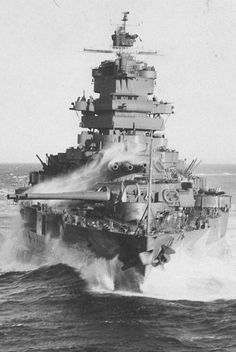 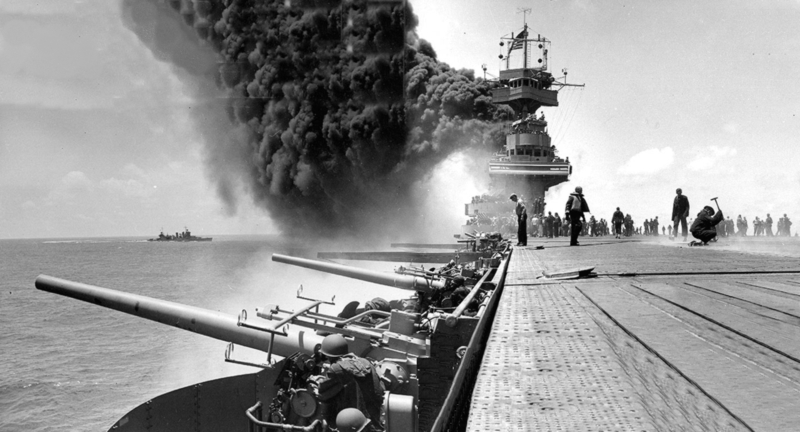 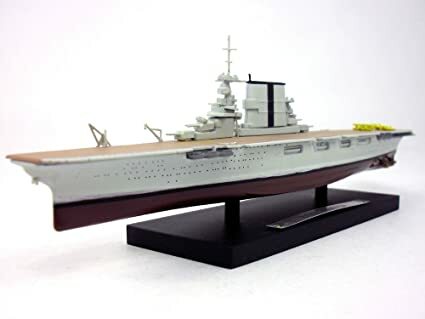 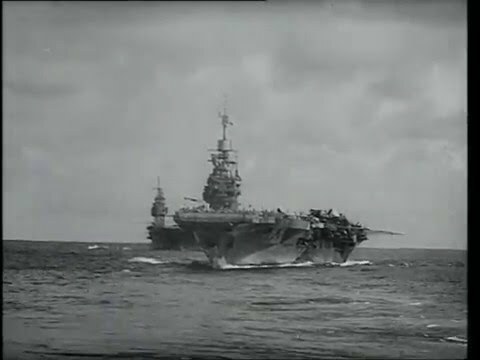 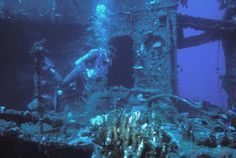 uss saratoga In the years following World War II, the US conducted more than 20 nuclear bomb tests at the Bikini Atoll in the Pacific. 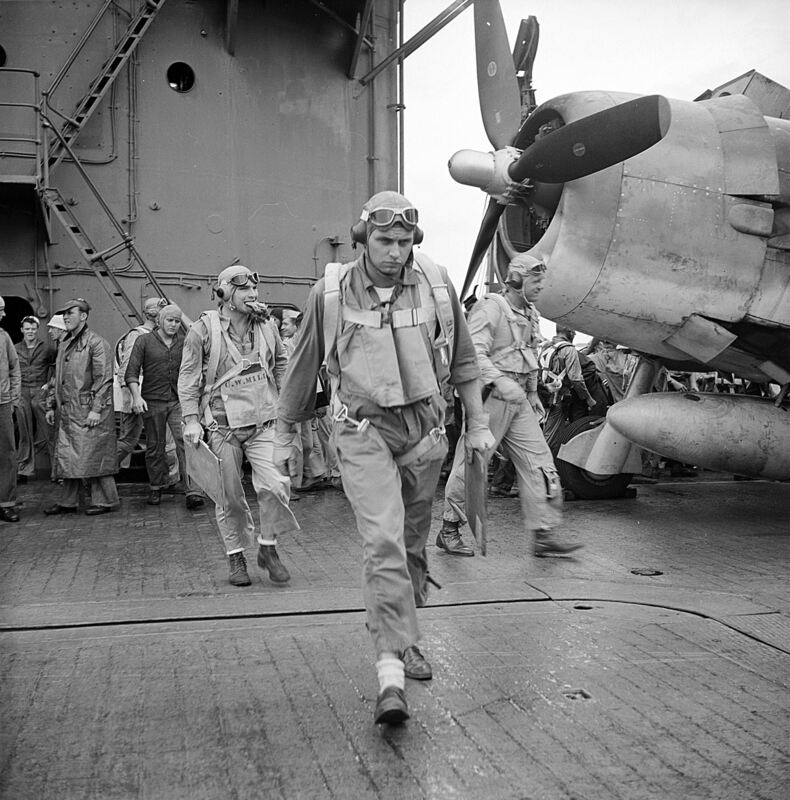 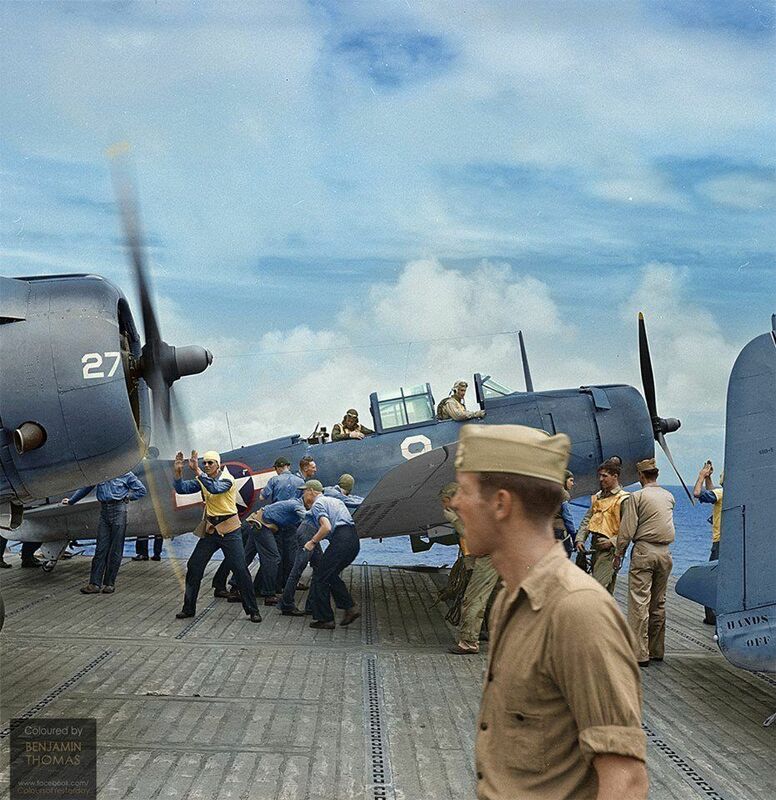 Flight deck crews of USS Saratoga spotting SBD-5 Dauntless dive bombers of VB-12 squadron, October 1943. 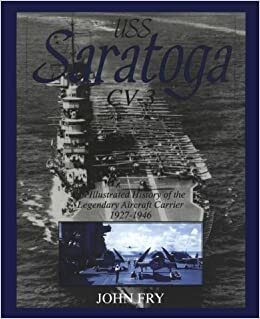 The photos below were taken by me and show the SARATOGA laid up at Naval Station Newport, RI., on August 21, 2010. 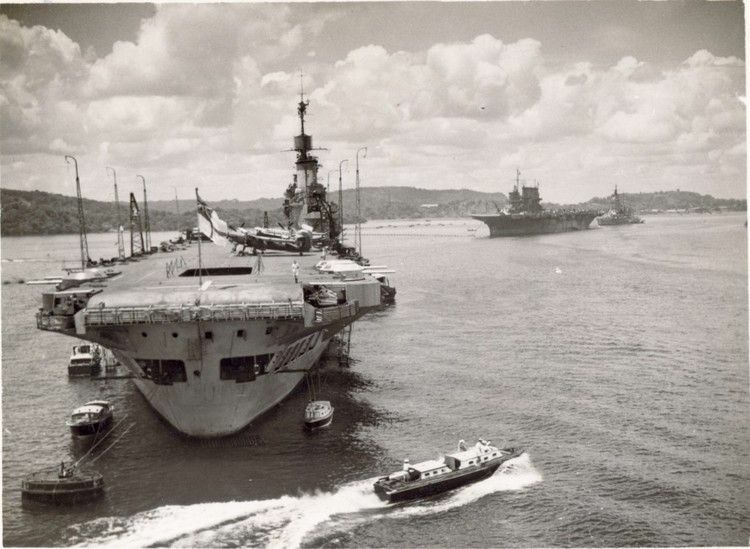 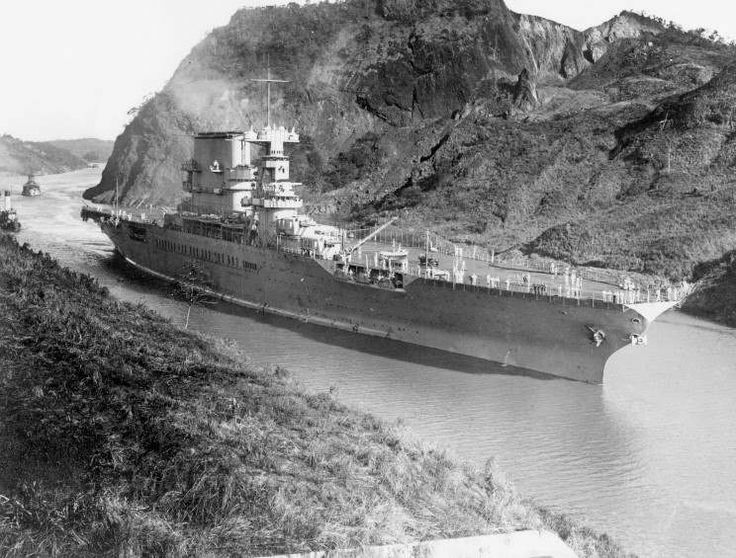 HMS VICTORIOUS at Noumea, New Caledonia. 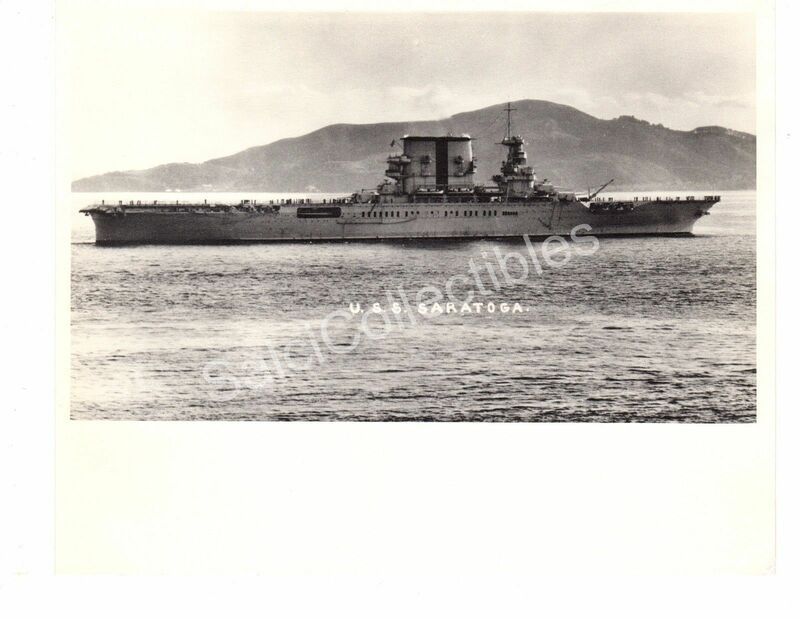 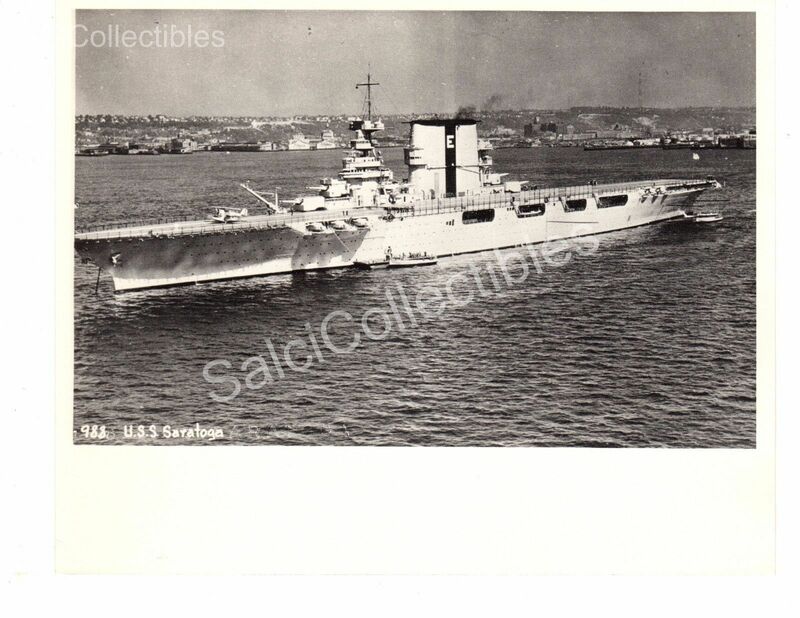 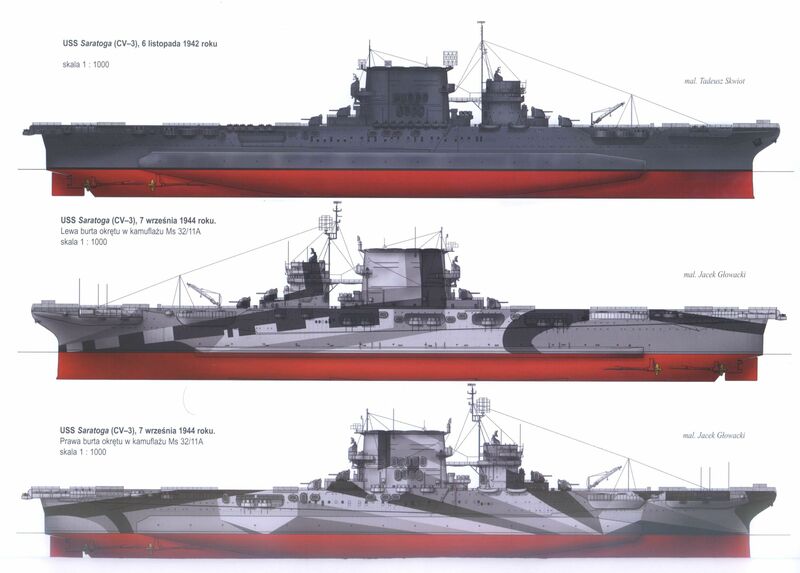 Littorio Italian Battleship renamed "italia" after the armistice of 8 september 1943.